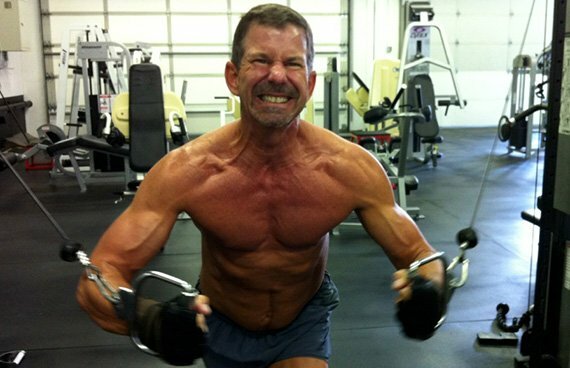 Larry only had one option when his doctor said to shape up at age 50. He had to lose weight. See how he took fitness to another level and lost 37 pounds in five months! I always liked working out, but I put on weight slowly as I got older no matter how hard I trained. Recently, at my annual physical, the doctor was concerned about my weight, so I met with my personal trainer Jill VanAtta in May and she encouraged me to compete. 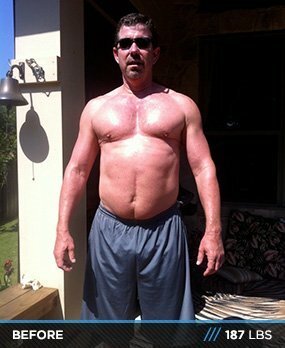 I turned 50 in July 2012, and decided to take on the challenge to improve my health and learn what it took to be in good physical shape. I wanted to prove I had discipline to succeed at something completely within my control. My wife was supportive and helped by eating the same meals. Now we eat healthy all the time so it doesn't feel like we're on a diet. It's been a great change to our lifestyle because we don't eat out multiple times per week anymore. I found a nutritionist in Portland, Oregon, who helped me diet. With a solid meal plan, I purchased the food that day and completely converted my eating habits. The first two weeks were very difficult. I got headaches but pushed through it. I kept telling myself, "It's only food, and it shouldn't control me." When I saw the weight come off at my first two-week check in, I used it as motivation to push on. The last two weeks before the show were the hardest. An hour on the elliptical when my body fat was under 10 percent was difficult. I hit a wall at 30 minutes. I remembered how hard it was for my mom to breathe before she passed and told myself, "One hour on the elliptical is nothing compared to what she went through." That gave me the strength to keep going. The diet was hard the last two weeks because most of the carbs were gone and I was down to lean meat and asparagus—and I hate asparagus. I didn't want to fail. This was something completely in my control. I knew what to eat and what I needed to do at the gym so I could control the outcome. The biggest change for me was the diet. Eating seven times per day was vital to keep my metabolism working. Cutting out restaurants was hard also. I only had one cheat meal per week and it had to be less than 750 calories. Plan your day so you don't get stuck eating something that's not part of your plan. I did morning cardio every day that I worked out at 6 a.m. I aimed to burn 500 calories in 45 minutes alternating between the elliptical, running, boxing, and rowing. I used a heart rate monitor to track my calories burned. I weight trained in the afternoon six times per week. Dieting was the hardest. At my job, lunch and dinner are part of the workday, so I found a restaurant that cooked meals within my diet and tried to have meetings during the day rather than over a meal. Everyone was supportive when they understood what I was trying to accomplish. The key was to have meals prepared ahead of time so I wouldn't get in a situation where I had to eat something outside my meal plan. It's been several months since the competition and I still eat the same as I did. My current plan is to put on more muscle and decide if I want to compete again this spring. I want to find a way to help others improve their well-being. I feel better than ever. I lost seven inches off my waist and can wear jeans I used to wear in high school. It's a great feeling to know I can maintain 10 percent body fat at my age. My advice would be to start slow. Set a 12-week goal and work toward that. I see people who have never been to the gym try to go six days per week to start and burn out quickly. Make incremental changes to your diet and workout. When you start seeing results you will have the internal drive to turn up the intensity. 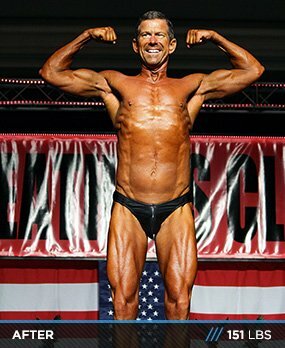 Bodybuilding.com helped by providing an amazing supplement guide. The variety gives you a chance to find supplements that work for you. I like how fast I get the products. It's usually at my door within two days of my order. I would like to give a special thanks to my trainer, Jill VanAtta. Without her encouragement it would have been impossible for me to achieve my goal.